Home » EUR » Pound Sterling to Euro Exchange Rate Forecast: Can GBP/EUR Recover on UK GDP Growth? The Pound (GBP) has fallen by -0.3% against the Euro (EUR) today, owing to growing concerns about the UK suffering from a ‘no-deal’ Brexit. These uncertainties have led to the GBP/EUR exchange rate falling to €1.1205, which is the lowest level of trading in almost a week. This week’s UK economic announcements will all come at once on Friday and may be enough to trigger a Pound Sterling to Euro exchange rate recovery. The main data to watch out for will be Q2 GDP estimates, which are tipped to show a faster pace of growth on the quarter and the year. Any economic growth is good news for the UK, but given recent worries about future difficulties, the Pound could firm against the Euro on forecast-matching growth. Looking past the current week, the Pound to Euro (GBP/EUR) exchange rate could also be affected by UK wage growth stats out on 14th August. 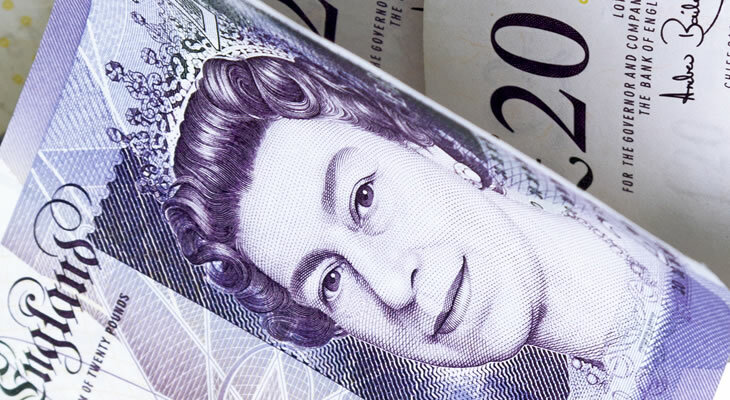 June’s UK average earnings figures are expected to show a faster pace of wage growth with and without bonuses included, which could trigger a GBP/EUR rally. Rising levels of wage growth would suggest UK economic stability and resilience and could lead to more Bank of England (BoE) interest rate hikes in the future. Will Growing German Trade Surplus Push Euro to Pound (EUR/GBP) Exchange Rate Higher? The Euro (EUR) has appreciated against the Pound (GBP) today and has a chance at making greater gains in the pairing when Tuesday’s German trade data comes out. This measurement of Germany’s trade balance during June is expected to show a significant expansion of the existing surplus, with a rise from €19.7bn to €24.5bn. This would mean that Germany is exporting more than it imports, which reduces any dependencies on other nations for the supply of goods. A trade balance reduction would still leave Germany with a large surplus, but such a result could rattle Euro traders and trigger a EUR/GBP exchange rate decline. Future EUR/GBP Exchange Rate Forecast: Can ECB Bulletin Trigger Euro to Pound Advance? Looking further ahead, there could be additional Euro to Pound (EUR/GBP) exchange rate gains on Thursday when a European Central Bank (ECB) data release is due. This is the ECB’s latest economic bulletin, which could boost demand for the Euro if ECB officials have a positive outlook. The bulletin provides a recap of Eurozone economic performance over previous months, a look at the present situation and a snapshot on future developments. If the overall outlook is for a stronger Eurozone in the future, then the Euro could rise sharply against the Pound. A positive outlook from the ECB increases the odds of an early interest rate hike in 2019; at least one rate hike is expected next year, but precisely when is unclear.